Alhamdulillah. 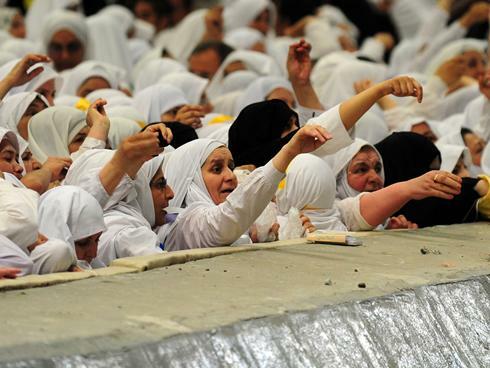 The blessed days of Hajj are upon us. It is during the first most blessed days of the month of Dhul Hijjah that pilgrims from across the globe, my dear brothers and sisters in Islam, have made their way to Makkah to perform the rites of Hajj. A verse from the Qur’an tells of the importance of Hajj. 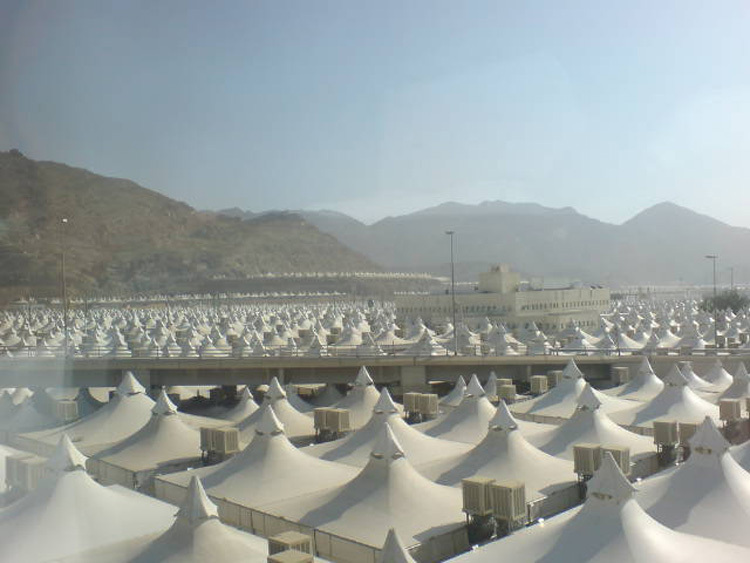 Hajj is a pillar of Islam and therefore a duty to all those who believe who can afford to go. 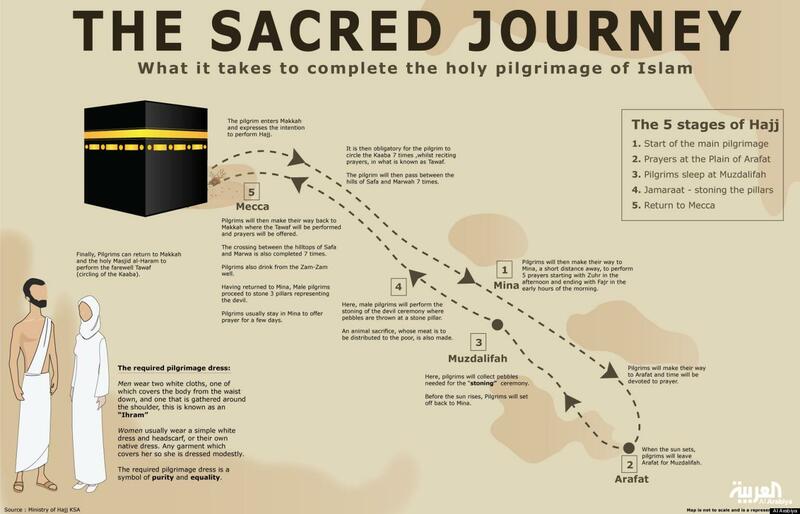 Many Muslims save their money for years and years before they are able to make this journey. 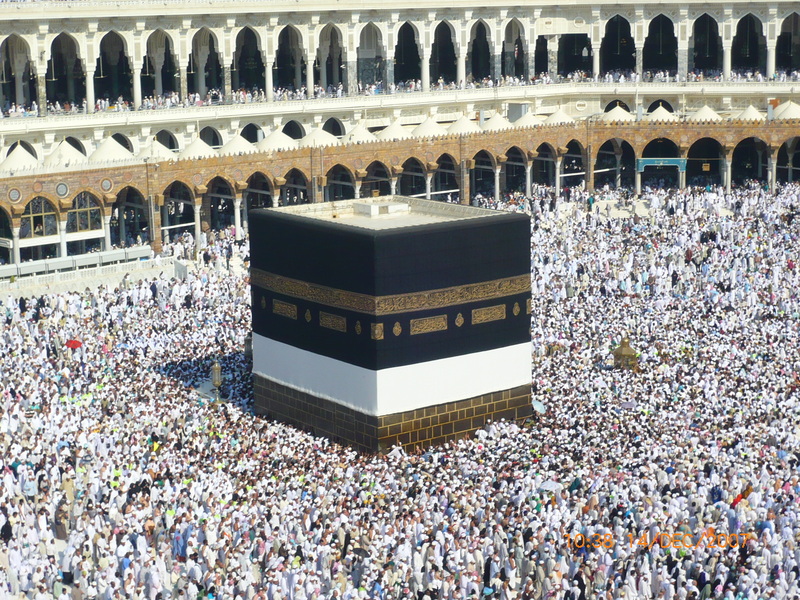 Muslims traveling from all over the world will finally get to see the Kaaba. The first house of Allah which dates back to Prophet Ibrahim, AS. 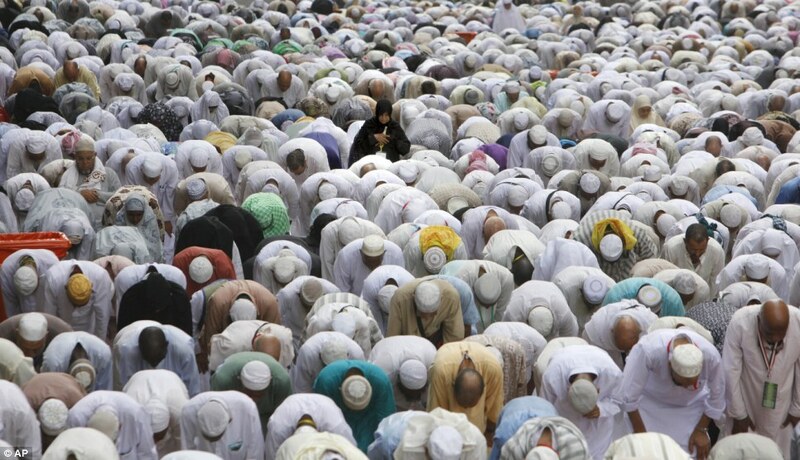 Thousands of Muslims, from every race, from every lifestyle, from every economic class, from all over the world. The wealthy, the poor, the old, the young, those who are have been blessed with family, and those who are alone, those who have been struck with tragedy and those blessed with fortune. All in simple clothing, stripped of their everyday attire, all appearing the same before Allah. Princes and paupers, side by side! Fellow brothers and sisters all together with one shared belief. 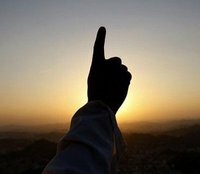 The belief that there is just One God, Allah! There is no other deity, no other, none to be worshipped but Allah! All walking the same path that perhaps their own parents walked, the same earth that Prophet Ibrahim (AS) and Prophet Muhammad (SAW) and his companions all walked so many years before us. 2. 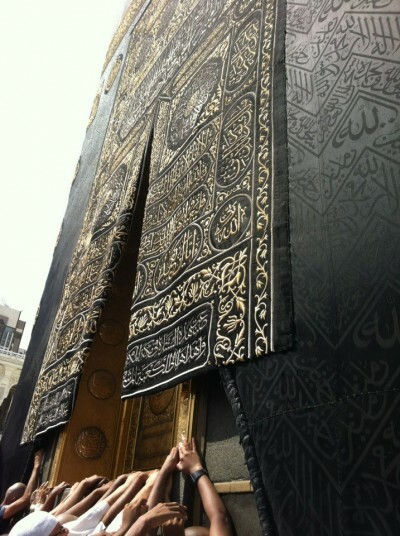 Circumambulating the Ka’bah seven times. It is believed that angels circumambulate directly above the Kaaba, around Baitul Ma’mur, which is in the 7th heaven directly above the Kaaba. 3. 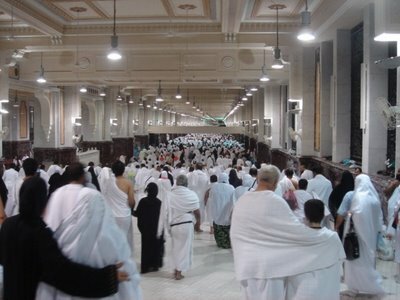 Walking between as-Safa and al-Marwah near the Ka’bah. This represents the path of Hajaar, wife of Prophet Ibrahim, that she took between the two mountains (7 times) searching for water for her baby, Ismaeel. 5. Throwing pebbles at three fixed places at Mina. Three structures which represent Shaitan. 6. 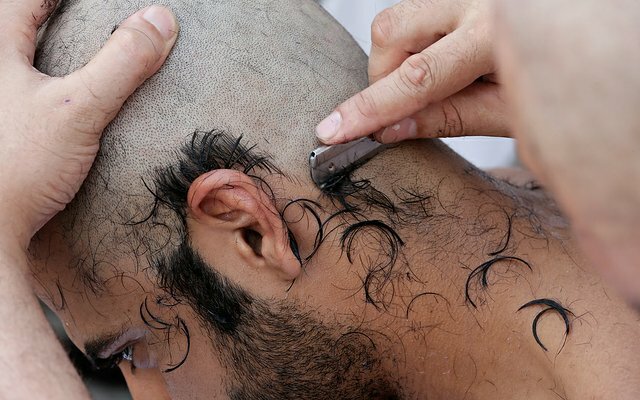 Shaving or trimming hair. 7. Sacrifice of an animal. 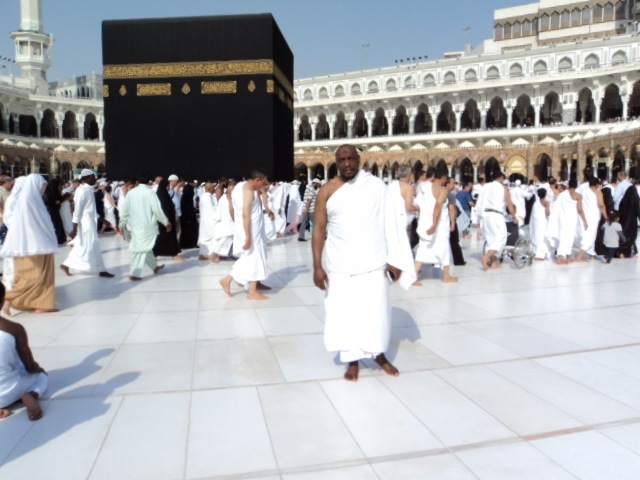 Representing the sacrifice of Prophet Ibrahim, AS. What are good deeds that we can do during these first 10 days? Fasting on the day of Arafat (9th of Dhul Hijjah) If you fast on this day, your sins will be forgiven for the year before and the year after. This year, the 9th of Dhul Hijjah is tomorrow (October 14th). Many Muslims, including me, will fast tomorrow in the hopes that our fast will be accepted by Allah and our sins forgiven. Dhikr. Remebrance of Allah. Saying “Allahu Akbar” “La illaha illAllah” “Alhamdulillah” often throughout the day. Dhikr can be done at any time. Insha’Allah, I will make use of my time cooking, cleaning, driving, walking and relaxing to do some dhikr. Repent to Allah SWT with sincerity. We are all human and we are sinners. Although I try to be good, there are things that I do that Allah does not like. There are things that I may not even be aware of, so I ask for forgiveness. And, Allah loves to forgive those who truly repent. Extra voluntary deeds of prayer, charity, and reading Qur’an. Insha’Allah I will give to those who are in need and spend some time reading Qur’an. Tahhajjud. Insha’Allah I will wake up in the middle of the night to pray. A time when Allah comes nearest to us. A time when Allah seeks out those who are asking of Him. Alhamdulillah! Sacrifice an animal for the Sake of Allah SWT. After Eid. It can be done on the 10, 11, 12, or 13. Whoever sacrifices an animal, all sins to the amount of hair on the animal will be forgiven. have already arranged for to sacrifice an animal. I will not be doing this myself, but have paid and this will be given to those in need, Insha’Allah. Alhamdulillah. Pray the Eid al Adha salat (10th day of Dhul Hijjah). Eid al Adha is to commemorate the end of Hajj and to remember the willingness of Prophet Ibrahim (AS) to sacrifice his son to Allah SWT. Insha’Allah, I will attend Eid salat and spend some time with my Muslim family at the local masjid. Appreciate the blessing of Allah and come close to Him during these days through all of these acts with intention, thought, appreciation, prayer, and seeking forgiveness. Alhamdulillah!! May Allah SWT accept everyone’s Hajj, Du’a, charity and worship. Ameen. ← Call upon Allah! Dua is needed for our Ummah today.